Last week I ran two Mother’s Day Craft Workshops at Dore Primary School, Sheffield. 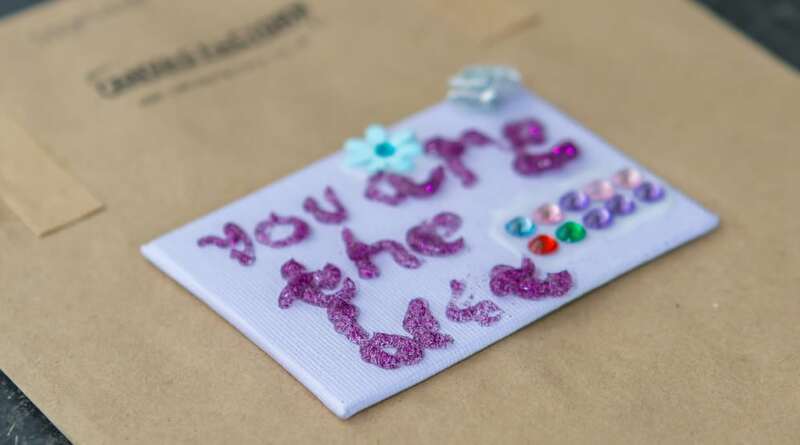 The pupils had the chance to create a beautiful personalised gift for their wonderful mums! The workshops went really well and the kids made some fantastic masterpieces, there will be some very lucky mums opening their gifts next Sunday! Inviting Canvas Factory along to your school or organised recreational group is a great way to raise much needed funds for your cause! I offer discounted rates on all the Art Party packages so that you can charge a little bit on top to raise funds for your school or Beavers/Rainbows group etc. Packages are suitable for children age 3+. 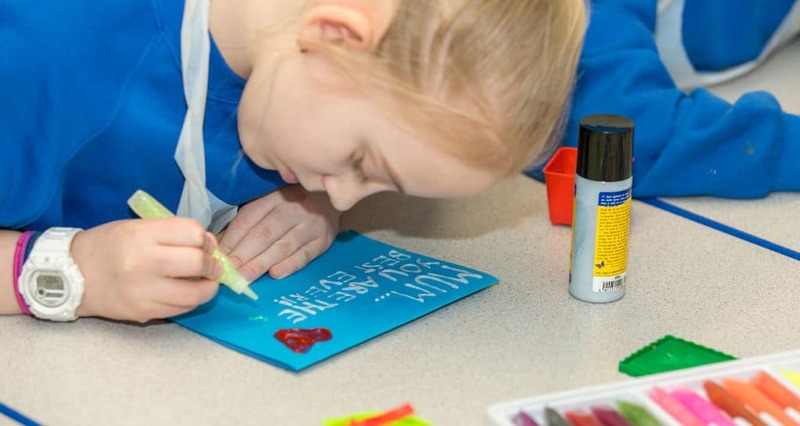 The children at Dore Primary School had the choice between decorating a fridge magnet or a hanging sign (both pre-painted canvas boards in a variety of colours, fixed with either magnet or ribbon attachment). The parents had pre-paid and all the money and reply slips had been sent back to me – I will deal with all the admin side of things, all your school/group has to do is send out an email/letter (provided by me) and advertise it – very easy! We ran this workshop as an after school activity on both days – one for Juniors and one for Infants. However, the parents who have children at both, were able to choose which workshop they attended if they wanted them to go together. They also had the choice of whether siblings decorated an item each, or one joint item together. I am a parent too so I know how many costs are involved with kids! It’s nice to have the choice. Dore Primary workshop-ers came along after class and enjoyed a quick snack before getting down to creativity. They chose their magnet or sign and were shown examples of what they might want to create. Then the glitter glue pens and all-important decorations were dished out and they got to work creating their masterpieces. Myself and some other parent helpers were on hand to assist and give a little guidance for those who had a spot of creator’s block! Once the children had finished their beautiful artwork, it was put to one side to dry and they were encouraged to make Mother’s Day cards at the colouring table (all paper, pens and envelopes provided). The artworks were left over night/weekend to fully dry and I went in early before school started this morning in order to securely bubble wrap them up and deliver them safely back to their classes in Canvas Factory brown paper bags. A very exciting package for the kids to take home! The children all really enjoyed themselves and made some stunning artwork – I know there will be some very happy and proud mums opening their Mother’s Day gifts this Sunday! Courtesy of Gordie Cavill Photography. Permission will always be sought for photographs of children. 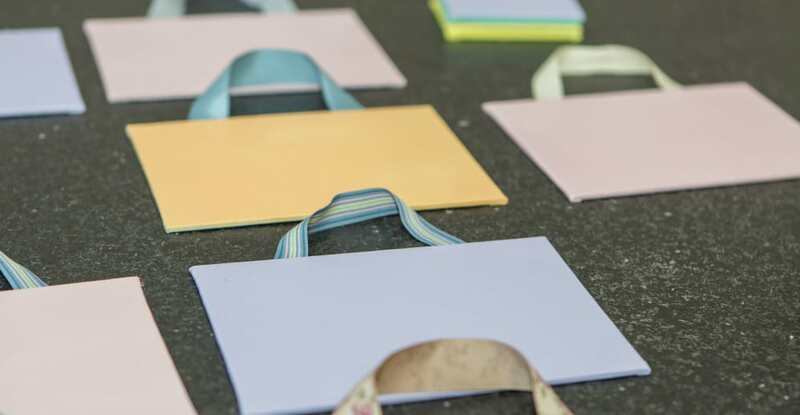 If you would like to know more or you are interested in running a Canvas Factory Craft Workshop at your school or organisation, please get in touch and I will be happy to chat to you.